It's been a while since we featured a beer cocktail (the last one was the tasty beer mojito) but the warmer weather is an ideal time to learn how to turn ice cold beer into a more interesting and even more refreshing cocktail. 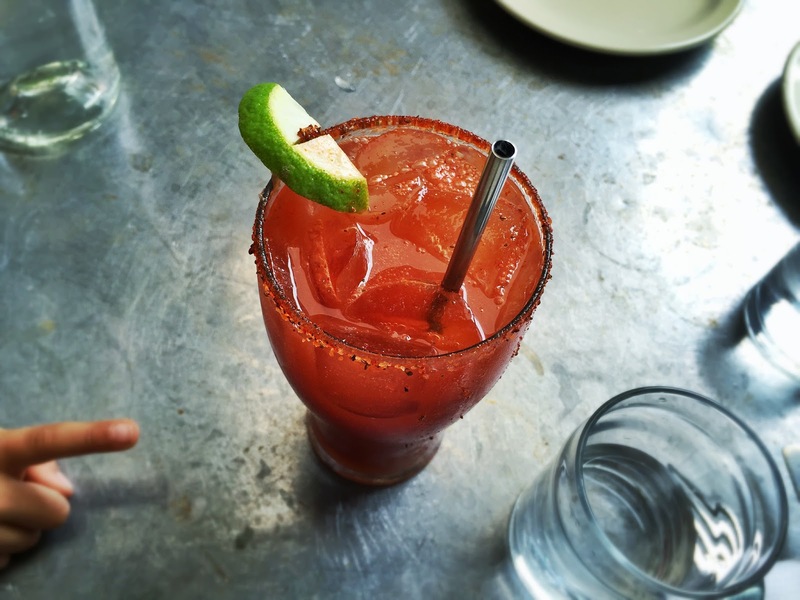 The Michelada is a classic beer cocktail from Mexico, and is definitely one you should have in your repertoire because - although it's very much an acquired taste - you should always try something like this at least once. You might be surprised by how much you like it. Unlike the fruity cocktails we featured last week, this is a zingy, earthy and spicy concoction that has a bit in common with a Bloody Mary, but is really more just a way to spice up your beer. You can adjust the spice levels to suit your own tastes - but I'd recommend keeping at least a little kick of heat to keep the cocktail nice and punchy. 1. Rub the lime wedge along the rim of your glass (I recommend a beer glass or large tumbler). Combine the salt and cayenne pepper/paprika on a saucer/plate and gently roll the wet rim of the glass in it, until the rim is coated. 2. Pop a few ice cubes in the glass and add the tomato juice (if you're using it), lime juice, worcestershire sauce and tabasco. Stir to combine. 3. Top up with the beer and garnish with some black pepper (and the lime wedge if you fancy it). Happy weekend, everyone! Enjoy the sunshine. Lovely photo taken from T.Tseng's photostream under the CCL. Try substituting the lime juice for a hoppy pale ale like Beavertown Gamma Ray and add just a dash of pickle juice for acidity. Aw. Yiss. Oh and the other beer obvs.